The MoRTH (Ministry of Road Transport & Highways) has officially issued its new unified vehicle registration and driving regulations for India and these will be implemented from the 1st of October this year as per reports. 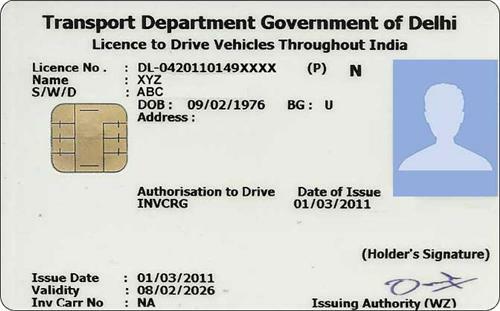 Based on the revised regulations, the driving license will be standard throughout all Indian States along with the vehicle registration card. Documents will have similar features for security and also the same look throughout India in the future. The new regulations have been implemented in order to ensure an online and centrally managed database for all drivers and vehicles alike. There will be the QR code feature for all driving licenses and this will enable keeping of seamless records of driver information and also penalties up to 10 years. This will empower traffic authorities with regard to using tracking solutions for ferreting out those who have repeat offences. The driving license may also receive NFC (near field communication) features through embedded chips provided by State Governments. The card will contain details of previous offences along with other details including any vehicle modifications and physical disabilities. There will be emergency contact numbers on the back of these cards which will be highly advanced from a technological perspective. These new registration cards will contain information like the engine/chassis number, type of fuel, details of the owner and emissions and will have similar formats like driving licenses with the QR code and chip being placed on the reverse and front sides respectively. Next You Can Now Go for Hyundai Cars on Subscription Basis! Honda Civic – The Car You Should Look Out For!